While looking through my pantry, I realized I had an overload of white chocolate chips. I used some for my White Chocolate Covered Oranges, but was still left with over a bag left! I decided I wanted to combine them with a favorite of mine - dried cherries. 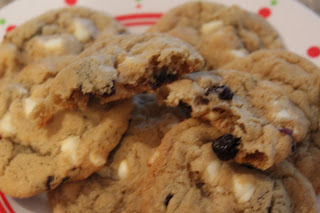 These cookies are so chewy and delicious! 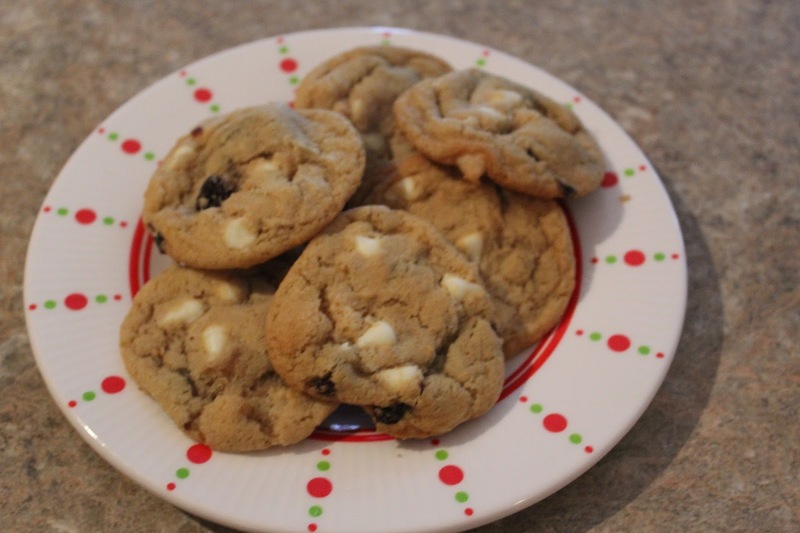 I also thought they were a perfect Christmas cookie with the red cherries and white chocolate chips. Maybe next year I need to add green sprinkles? The fun, catchy name of these cookies is thanks to Redmond who has been watching a bit too much of Julius Jr. on Netflix lately :) But, he and his sister helped make them so it's only fair that they get to help name them too! 1. Preheat oven to 350. Mix together the butter and sugars until well combined. Mix in the vanilla and egg and slowly add in the flour, baking soda, and salt. 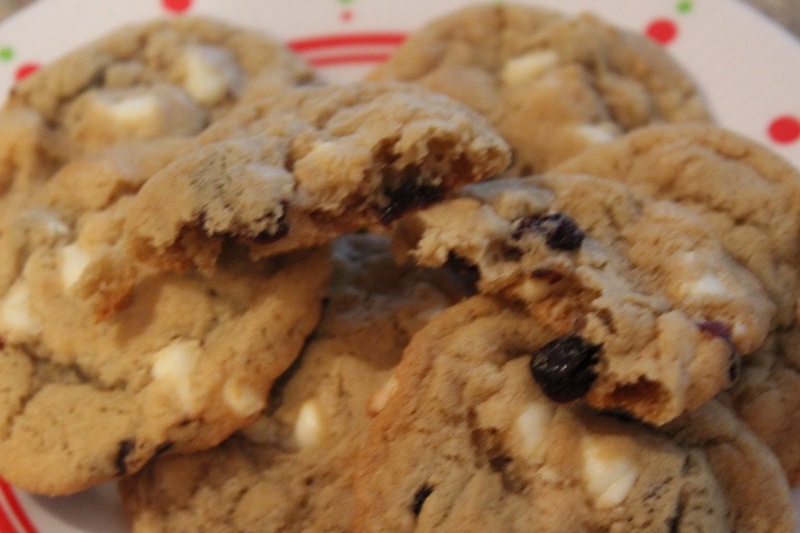 Once the dough has formed, stir in the cherries and white chocolate chips. 2. Drop by spoonfuls onto a baking sheet and bake for 10-12 minutes, or until the edges begin to brown. Let cool on the cookie sheet for 2 minutes then transfer to a wire rack to finish cooling. Enjoy! Get in my belly! Love these!! !